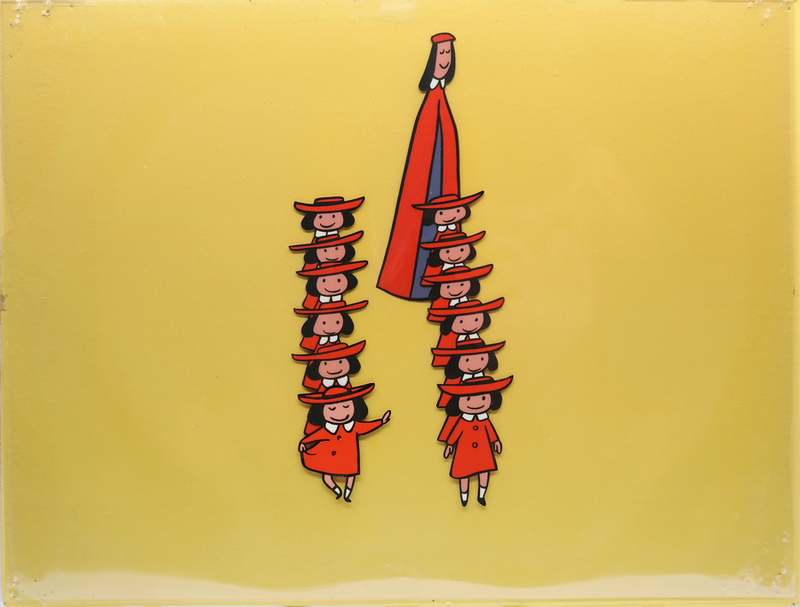 This is a set of three original production cels from the UPA Studios production Madeline (1952). 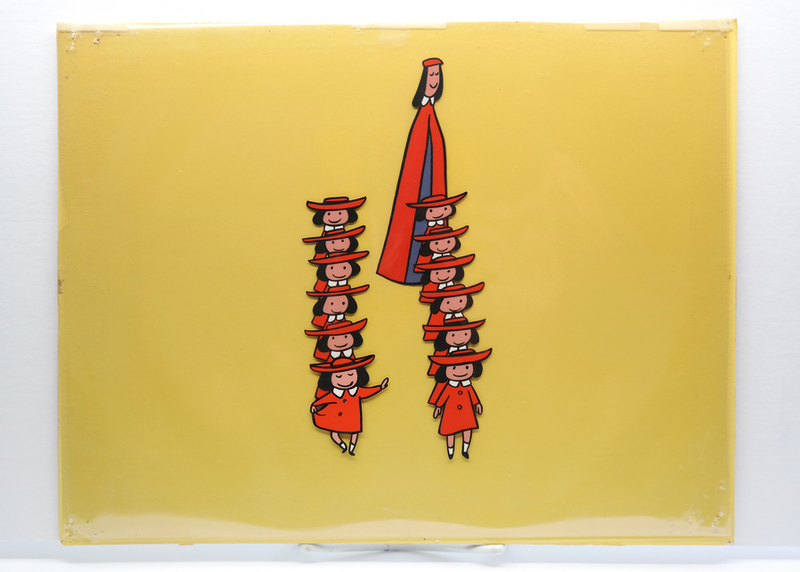 These hand-painted cels features Madeline, Miss Clavel, and her eleven classmates in their iconic "two straight lines." 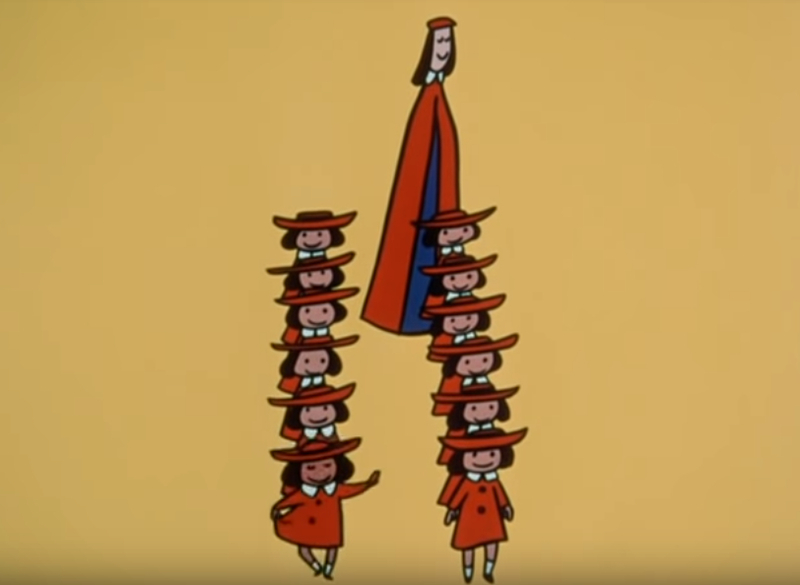 The cels were created at the studio and used during production, representing an actual frame of animation that was photographed and appears in the cartoon. The trimmed cels measure 9.5" x 12.5" overall, and the image itself measures 7.5" x 3.25". The cels are in very good condition, with faint scuffing on the cels, multiple pin holes in the corners, and some light edge wear. The piece comes with a hand-painted background.